Hello my dear friends! I am so happy you are all getting your Gilli!! I have received lovely e-mails sharing projects! They are all sooo cute. Remember you can share your Gilli project on our Gilli Gallery at Flick! Let’s exchange tips and tricks on how to work on our gal! Thank you all so much for sharing the Gilli love! Fun fun fun! Today I am sharing with yout you a project that honestly makes me think of that movie with Christopher Reeves….”Somewhere in time”… Gilli Victorian (and a marvelous Stamping scrapping Design Stamp :: nestability compatible design stamps) brings all that romance that we see on Victorian times… hop over Gilli Blog to see more pictures and list of materials that I used in this project! Magnolia Challenge :: Add a touch of lace! Hello darlings!!! How is everyone doing? I hope you all are finding sometime to craft now that the kids are back in school and the rush from is over! I just prepared this magnolia card for MSL challenge among others and I would love to share with you! I created a little tag decor! This would be a cute touch to a gift…and I added a little loop so the tag so this little charm can be used as a little room decor! My magnolia project features Magnolia stamp colored with my favorite..lol Copic markers. And take a nice look my nestabilities are no longer blah! 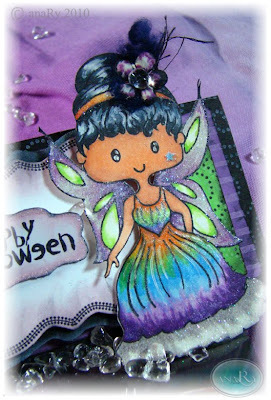 I used Stamping Scrapping Design Stamps from the kit New little one! Doesn't this Nestabilitie compatibile new stamps make the thing pop?! I will put the this and that for this project soon…if you have any questions just ask on out char box! HUGS! Hellooooo hopers!!!!!!!!!! Did you see all the projects from my other DT divahs buddies? Aren’t they amazing!!? YAY! So now here I am!! I am sooo happy you guys came by! So good to have you! Hey it doesn’t hurt that you adorable people came for a visit and also can have a chance to WIN BIG TIME! Want to know how? Well come with me…. Cindy from Stamping Scrapping, my dear friend and Papercraft & Scrapbook fairy lol has released a brand new set of stamps compatible with one of our favorite things…nestabilities! On each kit you will find different designs that will fit those cute nestabilities! The newest sets New little one, Celebrate, Holidays and Congratulations will fit labels 10, 11, 12 ans 13! But I will say I have been using these cuties and they are soo versatile…just look around my blog you will see what I mean…they are perfect to give that little finishing touch and charm you are looking for! SO NOW for you to have a chance to WIN ONE OF THE STAMPING SCRAPPING DESIGN STAMPS SET … you need to leave me a comment here in this post saying you dropped by….and how about telling us what is your favorite set!? THAT IS IT! If you are not a follower sign up so you will be updated with more projects and news!! Let’s keep in touch! I cannot wait to see what you will come up with these beautiful Stamping Scrapping Design Stamp kits! Now I bid you GOOD LUCK! Thank u for coming by! Stamping Scrapping Design Stamp – kit celebrate; Copic (W3, RV14, Rv11, YG03, B3, B14), Copic Spica, Cardstock, Embossing folder (Cuttlebug), Zutter distress it all, Ribbon, Robins nest and glitter. Memento and SU ink pad. Hello my lovely friends! I am so excited to share with you my latest news! I created a new line of stamps called Gilli! Gilli is so much fun! I hope she will be part of your projects!!!! I will share more of my adventures with Gilli on my newest blog...Gilli Blog! Come on in and follow me there too...It would be so exciting to see your there! I will be a happy gal!!! If you would like to see more of Gilli...come and check my website anary.com. Love to you all! Stay tuned for more!!!!! Yipeeeeeeeeeeeeeeeeeeeeeeeee!!! This post will stay at the top, scroll down for more! Hello everybody! Today I am bringing you a super simple project..a bookmark! For this project I used Bildmalarna stamp, colored with copic markers. To give a little fun look I am using one of my favorite coloring techniques…feathering. What does that mean? Well you kind of blend different colors in! It gives such a cool look : ) I added little white dots to make it girly. BTW IF YOU WANT TO LEARN FATHERING and much more..I will give you the way!!!! Class with my dear friend Suzane Deann. Su is a copic fairy…Suzanne is offering copic classes in various towns and this weekend she is in Michigan – HUGS SU!!!! Well, if you want to learn a lot about copic and live around PA, DE, NY, NJ and MD you will have an opportunity not only to have a super class with one of the top coloring teachers around, but also meet Cindy and Kev from Stamping Scrapping! They will all be in Wilmington, DE on October 2! The classes pre sign up are open…hurry and get your spot..All day copic and fun. Beginner and advanced classes will be held on the same day…If I were just starting, or not, I would totally sign up for both…gosh that would save me soooo much work looking for info! If you are like me…and think there is always something to learn…LOL Go over CMC on the road and pre sign up! Back to business lol Last week I got some embelies at Joann’s and the pack was so cute…I save the cardboard…and ta-dah! Here is it…do you see the green part peeking out? Isn’t it cute? The pink topper is made with regular prink cardstock dry embossed using cuttlebug embossing folder (Divine swirls). The little tags are made with SU jewel punch. I love this little things…I also color their little borders with copic to match the Bildmalarna colors! I hope you liked this simple idea of a bookmark..so now how about you making one yourself and join us for the Bildamalarna challenge blog? It is a sour (lol) party over there at MSL Challenge blog …some really creepy cute things those gals are sending our way! How about you..come on! Join us…you can win a treat!!! Don’t forget we are having a blog hop and you can win a set of Stamping Scrapping Design Stamps!!!!!! magnolia stamp, Stamping Scrapping Design Stamp – New little one set and Holidays on matching Nestabilitie, Martha Stewart stamp, copic markers (c9-c3; E11-13,02; Yr 18; Yg05 and V09), cardstock, white pen, glitter, mini jewels, memento tuxedo black. If you like more details about this creepy little thing…come haunt my blog……AHAHAHAHAHAH! Hello everyone!!! Hey who left the outside ac on? Gezz the weather just turned upside down!! LOL Well cool is coming and you know what that means…yeah baby! Halloween is around the corner! So I decided to start early this year and get ready for that special trick or treat moment! So I would love to share with you my newest Gilli project…a trick or treat goodie bag! I used Gilli Fairy for this project and thanks to some Copic magic and some other cool ingredients she became a cute little witch..LOL. I would love if you come by at the Gilli blog to see more pictures and details of this projects ! See ya there! Lots of hugs to you! Have you seen these babies? WOW They are just fabulous! They are Stamping Scrapping Design stamps that matches your Spellbinder Dies! Yeah baby! I love using this to give that extra touch in my projects! The frames are just perfect and the sentiments and sorted designs are so cute!! Lots of bang for the buck! Check our blog hop using the newest set! Start next Monday! YOU CAN WIN A SET! with my new Spellbinders™Nestability™ matching stamp sets! 4 Lucky winners will win their choice of one of the new stamp sets! have until Midnight EST of the same day to post your comment. receive their choice of a new set of stamps! Hello everyone!! Here I am again! How is everyone doing? Hurricane Earl anyone? LOL. Well , Earl was supposedly to be a very scary and ferocious! BUT TG it was not…still a strong storm..but not the worse! I have a little wild thing of my own to share with you! How about this new Gilli Card?! I used my Gilli Burlesque and some other goodies. Come by my other blog (Gilli Blog) for more info and check her out! I would love to see you there! Got questions?! So come on over!